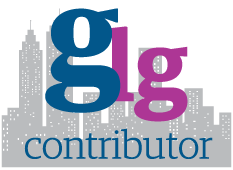 I recently took part in a Guardian debate on the role of local authorities in education and thought of writing this blog to elaborate on the gap in education policy. The government policy on academies and free schools is premised on the idea that increased diversity of institutions with freedom to innovate and distinguish themselves will ensure families’ involvement and make the system as a whole more competitive and responsive to parental aspirations and children’s needs. However, there is little evidence that can support the achievement of government’s policy objectives in its’ current form. One of the main challenges arising from the new education policy is the loss of local authorities’ role in promoting equity and equality in relation to educational opportunities in their area. Indeed, although all schools are bound by anti-discrimination legislation, local governments have traditionally held a broader responsibility, including their duty to ensure there are sufficient schools in their area. In fact, Local authorities are responsible for ‘ensuring fair access to opportunity for education and training’ and ‘promoting the fulfilment of learning potential’ by children and young people. Furthermore, when making strategic decisions about exercise of their function local authorities should ‘… have due regard to the desirability of exercising them in a way that is designed to reduce the inequalities of outcome which result from socio-economic disadvantage.’ However, it is not clear how local authorities can be expected to fulfil these duties and to protect various key social goals when increasing parts of the schools system are beyond their control. The case of R v Birmingham City Council exemplifies some of these difficulties and the associated challenges faced by local authorities. The above represents a de facto dismissal of local authorities’ duty for equity and equal education opportunities, and ignores the widespread inequalities in society, and the significant power difference between families and schools. The conflict between the Academies Act 2010 and some of the local authorities’ duties discounts and marginalises the role of local government leading to regulatory and accountability gaps. This accountability gap in the schools system has been implicitly acknowledged by Sir Wilshaw stating that Ofsted alone cannot continually supervise the burgeoning academy sector and that it would be unrealistic to expect the Department for Education to exercise local authorities’ school improvement and intervention duties and powers. Although Sir Wilshaw’s suggestion in favour of local/regional commissioners is aimed at addressing this regulatory gap, given that commissioners are appointed by the Secretary of State rather than being elected by local communities, this solution represents a democratic deficit and an accountability challenge. The local public interest in the schools system require better protection, and there is too much at stake to be left to the market, even a regulated one. Wholesale marginalisation of local authorities’ role in education can lead to unregulated chaos dominated by chain academies, and such lack of due diligence and foresight in establishing an effective and balanced system of participative governance, will lead to eventual isolation and marginalisation of the very voices that the big society claims to echo.